In Disk Utility I mounted my system's drive. or just rename it somehow. - Spinning circle, after which system successfully booted. Thanks for that. Good to know, there is a fallback. I was not able to delete the LittleSnitch.kext with terminal so I started in Safe Mode and deleted the file with Finder but that didn't helped. My last idea was to reinstall HighSierra but this also failed by an installer com.apple.osinstall-error -3. Now I got really stuck in trouble, Safe Mode doesn't work any more, verbose boot also. Can anyone help me? 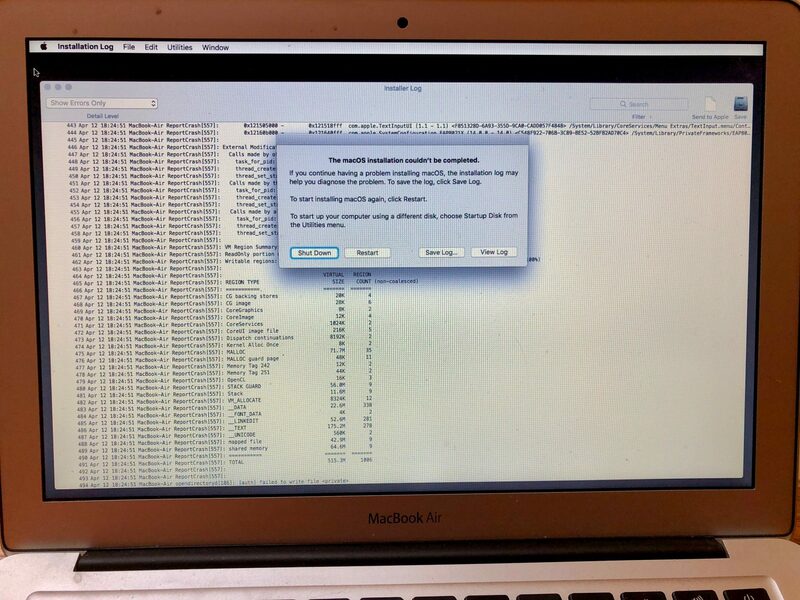 Cant believe that a simple Update can crash my Mac this hard. Formatting my HHD is not an option I will loose to much un backuped data. Same problem here. Trying to recover. Response/advice from Developer would be greatly appreciated. I had the same problem twice (in MacOS High Sierra). First time with the Security update 2018-002 in Oktober. Same symptoms, Mac won't boot, so I started in Safe Mode, deleted the Little Snitch Kext in the Library/Extensions Folder, restarted and everything was OK. I realised that I used an older version of LS and updated. So far so good. Next stop High Sierra security update 2018-003 form Dec 5th. Same story ... that's what I thought. But after rebooting with the deleted LS Kext it didn't work and even more Safe Mode didn't work either. It got stuck at the end of the booting process just before the desktop appears (and yes I waited for about half an hour three times to be sure it's stuck...). To make things short: in the meantime I'm on High Sierra with all security patches installed and use the latest Nightly build if LS, seems to work so far. PS. all this happened after a cold boot the next day. The first boot after installing the security patches showed no problems at all. This is BS, that a simple upgrade trashes your OS and NOBODY is saying anything? Great program in the past but WTF is this? Luckily I have a back-up clone I can boot from. I have deleted the Little Snitch Kext in the Library/Extensions Folder and am praying that will work, if not i'll scrap the entire app and try that. I'll post my results here soon. Update: I made sure I emptied trash before my restart and the plagued HD booted fine, exept of course I got a messag saying LS could not be installed because kext couldn't be found and would I like to update to latest version, NO. Emailed tech support and hoping they can help. I would like to just go back to my cloned version of 4.2.3 but I don't know which bits I need to copy over to my HD. Also now have to find a supported alternative to this APP. I have a case open with Tech Support but answers are slow coming. Sent a LS Error log yesterday. Is this still going on? Does this also affect Sierra 10.12.x or just High Sierra 10.13.x? Pretty disturbing not seeing update on something so severe.